John approached CAIS six months ago due to being homeless, and has since secured a new tenancy and overcome life’s challenges. Thanks to CAIS arranging regular appointments, he has grown in confidence. He has also had his ‘intentionally homeless’ status removed by his local authority. Now working in a part-time job, John has already made progressive steps and will continue working with CAIS to build on his confidence and engage in the inclusion activities and structure at Champions House. 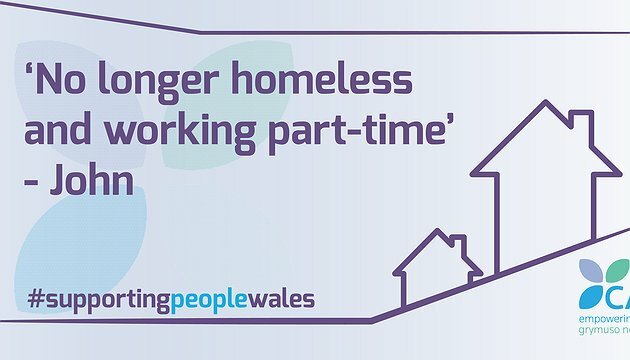 Supporting People offers support to individuals accross North Wales that have trouble living independently due to issues related to alchohol or substance misuse.